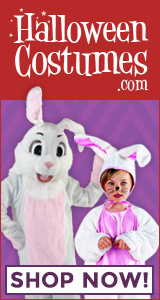 This site caters to adults who want high-quality costumes with a more authentic feel. Costumes which can be worn many times, not just once. The costumes found here are not thin, off the rack, cheesy costumes for a one-time-use Halloween party event. 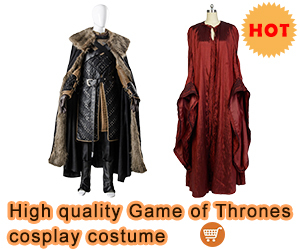 We are featuring selections of high-quality theatrical style costumes, costume separates, costume accessories, footwear, outerwear, jewelry, headwear, and weapon props. Wear these costumes and accessories to Cosplay or Comic Con events; to Re-enactment events; to seasonal carnival event parades such as Mardi Gras and Carnival; to Halloween costume parties and parades; to summer Renaissance Fairs, Pirate Festivals, and on-stage theater productions. 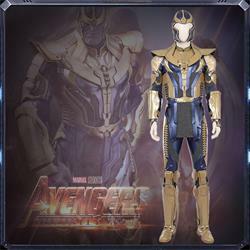 We are also including suggestions on how to create your own high-quality costumes by using unique separate costume pieces and accessories. These are pieces which you can put together yourself to invent a fabulous one-of-a-kind costume style; unique and exclusive to you. Layering is the key to any costume just as it is the key to a fabulous style in the world of fashion. Creating an authentic, high-quality costume means paying attention to even the smallest detail. The details are the elements which will make the costume stand apart from the ordinary and become extraordinary. Adding accessories is adding the details which will tie the costume together and win the awards for the “Best Costume” in any contest. Often those detailed accessory pieces can only be found by hunting them down both online and in your local area shops. If you are the type that loves hunting for those authentically detailed pieces and accessories, you might want to search for them from a variety of local sources, such as thrift stores, flea markets, consignment shops, garage sales and antique shops. Many articles of clothing and accessories can be reused, or recycled, for a completely different outfit when a “new” costume is needed. I also enjoy the hunt. Consequently, I always have my eyes wide open and on the look-out when scavaging garage sales and thrift stores. When I’m scouring antique shops for additional pieces to add to my costume wardrobe collection, I leave no box unturned. My first step is deciding who I want to be, or from what era I want to represent, and perhaps what class I want to play. Am I going to be a royal, a ladies maid-in-waiting or a poor peasant serving wench? Once you know what character you want to play, the next step is to get the basic costume pieces; i.e. period undergarments, a top, a skirt, a vest, a coat. Accessorizing the basic costume is the final step and the key to a fantastic costume, rather than just a so-so, cheap off-the-rack rag. The finishing touches to complete the costume are the hats and footwear. When putting a costume together, remember to pay close attention to every detail of the costume by adding all of the right accessories. This will really make the costume stand out from the crowd and can actually win you the purse in costume contests. Adding an eyepatch, a piece of braided cording or a bit of lace, a sash, a shawl, a pocket watch, a corset, a waistcoat, or a weapon will all add to the authenticity of the costume. On both men and women, period jewelry is important additions to authenticate a costume. Perhaps you don’t have the time to create a costume and just want a costume for a one-time-use but the quality must be there for the event. I have you covered on this website for that scenario too. however, there is still another option. You can also rent a better quality costume from a local costume rental shop, rather than spending on a thin, one-time-use, ready-made, off-the-rack costume. Most rental stores will carry costumes and accessories in a much higher quality than any costume you will get at a party store or on many online costume retail sites. 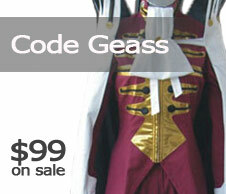 Usually, rental costumes are designed to replicate the authentic time period dress from history. Keep in mind that renting won’t save you any money, though. The fact is, it will usually cost more than buying a costume or creating your own. When in need of a costume for a special event, especially during the Halloween season, always be sure to get started as early as possible for your search. The closer it gets to Halloween, the harder it will be to find what you’re looking for. Keep in mind, if your costume idea is a popular or trendy idea, the best costumes and accessories will sell out fast. 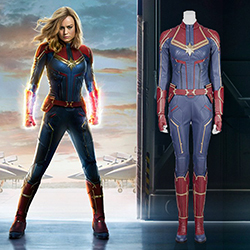 Many of the costumes you will find on this website will be custom made for you so you will need to take into consideration the time it will take to make the costume to your specific measurements and the amount of time needed for shipping.